The days of using walkie-talkies and written instructions for SATS ground staff may soon be over, thanks to new wireless headsets that pair with smartwatches, allowing them to streamline communication and receive work duty schedules and instructions in real time. Designed in conjunction with Temasek Polytechnic, the Bluetooth bone-construction headsets allow users to hear sounds through the bones in the jaw and cheeks to reach the inner ear. These headsets allow staff to receive calls hands-free, improving safety especially for staff who operate heavy machinery such as aircraft tugs. SATS is the first in the world to deploy the use of such technology. According to SATS, productivity has been boosted by about 10 per cent since the technical ramp-handling workers received the smartwatches 2 weeks ago as the system allows better allocation of time and resources. 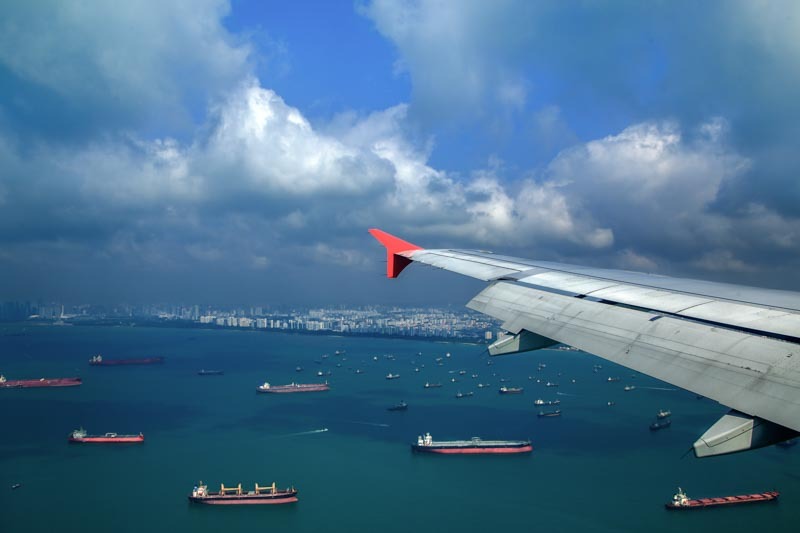 The initiative is the latest in a series of innovative productivity projects supported by the Civil Aviation Authority of Singapore (CAAS) Development Fund. CAAS established the Aviation Development Fund (ADF) in 2010 to accelerate development and growth of the aviation industry in Singapore. Within the ADF, there is an Airport Productivity Package(APP) with a budget of S$100 million up to 31 March 2018. One of the components of APP is ‘Airport Equipment Adoption’ (the other two being, Aviation Challenge and Passenger self-service adoption, being implemented through kiosks). With a funding of $20 million, this seeks to accelerate the adoption of off-the-shelf equipment in the areas of “Track and Trace” technologies for better visibility of equipment deployed on the ground; “Labour-Saving” technologies to reduce manpower use; and “Mobile Workplace” technologies to optimise manpower deployment through in-place information access. SATS has also announced that it had been awarded accreditation by the International Air Transport Association (IATA) to train ground handlers across South-east Asia and in India.